SingleGuyMoney turns one year old today!!!!!!. It seems as if it was just yesterday that I made the decision to start a blog. To celebrate the anniversary, I am having another contest. This one has a small twist. Don't worry though, it's easy to do and might actually benefit you. There is no purchase necessary and will only take 5-10 minutes of your time; depending on your insurance needs. I gave away a $50 gas card last time. Since that giveaway was so popular, I am making the pot a little sweeter. This time, I'll be giving away a $75 gas card to the first winner and a $25 gas card to the second winner! To enter this contest, here's what you have to do. Get an insurance quote using any of the services below and see if you can save money. Everyone needs insurance. Whether it be auto, health, life, disability, etc; you need to have insurance to cover you in the event of a loss. Since we all need insurance, you may as well try and save money. Leave a comment and let me know if you were able to save money or not. Your personal information is secure and I do not have access to it. If you are concerned about a credit inquiry, you don't have to enter your social security number. You can still get an "idea" of how much your policy will be. If you don't want or need an insurance quote, consider subscribing to SingleGuyMoney and leaving a comment to enter the contest. The contest will end on June 30, 2008 @ 11:59pm EST. You may enter the contest only once. The winners will have a choice of choosing a gas card from BP Amoco, QT or Racetrac. The gift card will be shipped to residents of the United States only. I will use a random number generator to pick the winners and post them here on the blog. Be sure to subscribe to SingleGuyMoney for more posts and future contests. I'd love to enter, but here in NYS, any insurance quote is tied to your credit, and thus your SSN. Being that I don't need to waste an inquiry OR put in my SSN to a company just to get a $75 gas card, I'm sorry that I can't enter. It's a shame, because I could really use it! @dreamy1: I wanted to get a few quotes but I did not want to waste a credit inquiry either. You can still get a quote without entering your social. I live in NYS and didn't put in my SSN, but I still got a quote. I'm surprised; I checked out esurance, and they are $200 higher/year than my current rate with State Farm. Isn't that strange? According to Esurance, it would cost me $1,054 for a one year policy comparable to the current policy on my 2007 Prius in CA. My current insurance costs approximately $1,000 per year, but I also get deductons since I also have AAA membership, renters insurance, and life insurance with AAA. The total cost of the insurance would probably be slightly cheaper if I didn't have the discounts with AAA for multiple policies, as it is, I'm happy with AAA. And even though I use public transportation as much as possible and get great mileage in the Prius, $75 worth of gas would really help with prices at $4.39 out here!! Nope, no savings for me. The fact that I've had my license for less than 10 years is a big handicap with every carrier except my current one. So in this case, hooray for the status quo! No savings for me. Esurance is $155 dollars higher per six months than I am paying now. The quotes were a bit higher than I thought/have. But it's nice to know what's out in the market today. Congrats on the blog milestone! Thanks for the giveaway! Appreciate it! esurances 6 month rate is $88 dollars less then my current 1 year rate. So no savings. I've always found local brokers do a better job then the on line quotes. @laura: If you drive a vehicle and need insurance, sure you can enter. @paul: That is pretty strange that they are not much less than SF. I am currently (and have been for 10 years) insured with State Farm. Esurance was at least $50.00 more expensive monthly that my premium at State Farm and that is without the added benefits that State Farm provides. Wow! I was quoted $500 more on AIG than a quote from Geico just last week...I have a teen son driving, which makes it expensive...but this makes the bill from Geico a little less painful knowing whats out there from others. Thanks for the encouragement from your blog by the way...I'm a married woman with four children and I like the perspective you give. Have shown my 17 year old son a few things on here in the past. @Kathy: Thanks so much for visiting! einsuraance is not offered in my state so the site sent me to safeco which was $11 more a month. I was surprised, I thought the quote would be a lot higher than what I am paying now as I have mine through AARP. thanks! A gas giveaway is an excellent idea! The e-surance gave me rates that were $45 more than what I pay now with Geico so it did not save me any money. I would love to get that gas card so enter me in this contest. I did not enter my SS # and it still gave the quotes. I live in Texas..so I guess other Texans can check it out as well. My quote was for $463 per month which is more than I currently pay. However I currently am on an insurance plan with my family and the reason for this is the discount for multiple drives is very nice. Oh well eventually I'll get my own car insurance in the mean time its nice to just pay my family for my portion of the insurance. I won't be saving any money switching. AIG was was $700 higher for a 6 month policy. I'm going to stick with Geico. Thanks for the contest! I'm currently paying $608 for 6 months. Great contest! Please, enter me to win. Thank you so much. I hope to win. I would like to choose an Arco Card. Thanks. i used "insureme" and after i filled out all my information it told me there were no local quotes for me. maybe i'll try another website. I did a Liberty Mutual quote and it matches almost to the dollar what I'm paying for Geico. It pays to get married for sure... and be a federal employee when it comes to car insurance. Great job on the blog and great contest! More than Geico for me from AIG. Checked and my insurance with USAA is still cheaper. Yay USAA!!!! Now quickly send me the money. I need that to take care of my baby ! I recently compared insurance rates so I don't need a quote but I did subscribe to your blog to enter the contest. I am enjoying reading your posts. Thanks! This year lot of people facing financial problem because of inflation. So we must work hard for control inflation. Well, I think that if you're in serious debt, you should get in touch with a company which provides expert debt advice on various solutions to become debt free, and which doesn't take any money for it, like a not for profit organization. The Esurance auto quote was $50 more a year than my current Allstate policy. I don't really want or need an insurance quote, but I am subscribed to SingleGuyMoney and would like to enter the contest please...thanks. would not save money. we have military insurance so no one is going to beat 50 dollars for full coverage. I didn't save any money either but was glad to have made the effort to cost compare. Thanks! 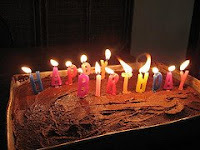 Happy Blog Birthday. I did Esurance and it's about $150 more for 6 months than what I pay now for State Auto. Thanks so much for the opprtunity to win. No savings here... USAA was much cheaper than any other company. I was not able to save any money. Thanks for the offer as it is time for me to renew my car insurance. This quoted me about 30/dollars more a month than I currently have, but I imagine mine would be less since I have multiple vehicles and home owners insurance with my current company. I'm moving to California in the next few weeks, so gas cards would be great for when I make that drive from TX. Ditto Tom! USAA has Esurance beat. I didn't do the quote as I just reviewed my insurance coverages and switched policies so it would not be feasible to do so. I did however sign up for the RS feed. no savings for me - the lowest quote is about $150 more (per 6month period) than I currently pay. Doesn't seem like many people are having success with this! My current policy is $336 for 6 months. According to my quote with AIG my insurance would be $687.41. Wow I'm glad I am with Allstate, they give me discounts for anti lock breaks, being a good student, and a few other things. But thanks, this was a good exercise. Esurance was just a bit cheaper than my current policy; however, I did not enter my social security number so of course the quote is just an estimate. In addition, the quote did not include car rental coverage and gap insurance, both of which I insist on with any insurance company. So I'd have to say that I'm doing fine with my current company. (They did offer three smaller, unknown companies whose rates were less than Esurance, but I'm still sticking with what I have.) But thanks! I am with Geico, and have a 17 yr old on my policy, so all of my quotes were higher. No savings for me...my current auto policy with USAA rocks! Nope, no savings for me. Good to compare though. I recently did a quote through another service from work and it was double what I currently pay with State Farm. I hope SF doesn't find out! I would not save any money...sticking with Geico. Singleguy, congratulations on your anniversary! Since no one seems to be saving any money with the quotes, I will forego. Again, congrats!